Do you have little ones in your life that are learning sight words? 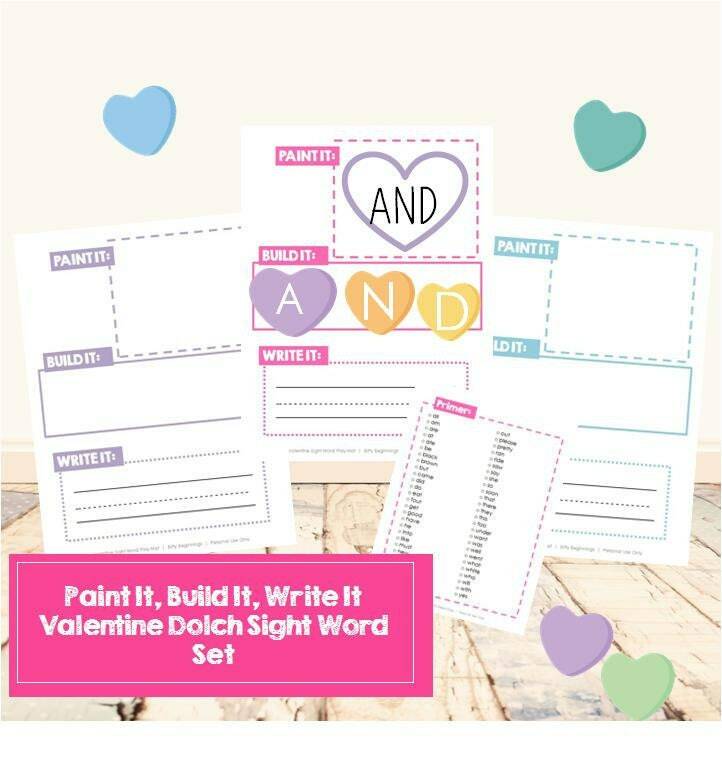 This Valentine Paint It, Build It, Write It Dolch Sight Word Set is perfect for your little learners! The layout is fun & the colors are bright and super cute for all things Valentine's Day! All of the items needed are included: read it word cards & build it letter circles. This set contains all Dolch Sight Word lists: Pre-Kindergarten, Kindergarten, First Grade, Second Grade, Third Grade and Nouns.